Powered by data from Transport for London, you can show live Tube status information by adding this widget into a zone. Select your designated zone and enter the zones playlist by double clicking on the zone, or click 'Edit Zone Playlist'. 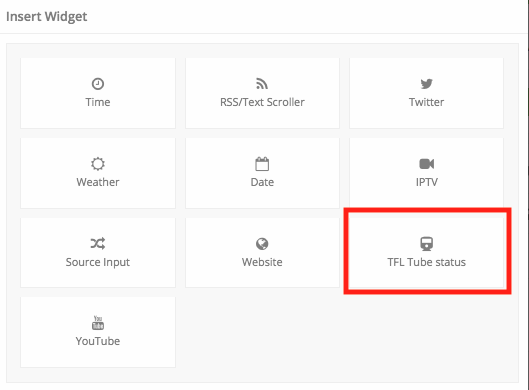 Click 'Widget' and select 'TFL Tube status' to insert the tube status widget.